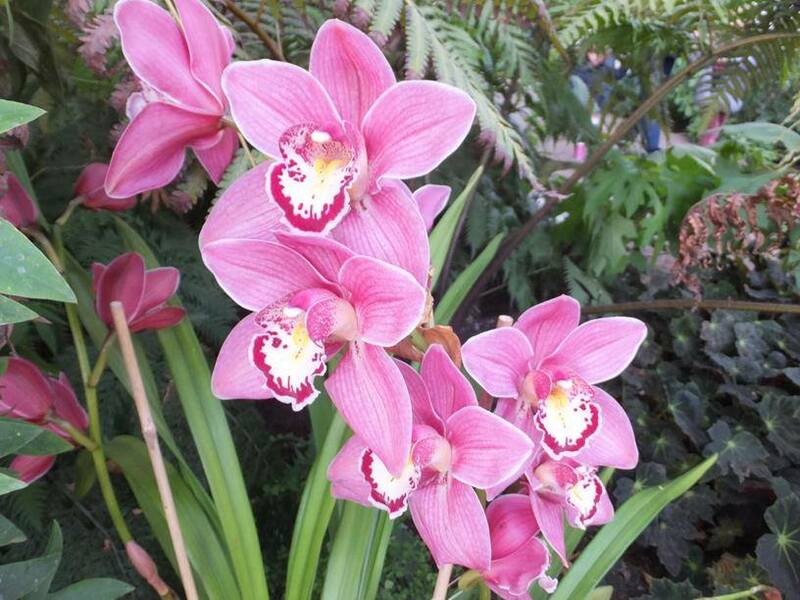 It is often suggested that more orchids fail as a result of an incorrect watering regime than any other reason. When it comes to watering these epiphytes there are two elements to consider when considering your watering regime, these are When and How. The vast majority of orchids grown by hobby growers are naturally found on trees above the ground where the light is more plentiful. Most orchids that are not terrestrial need their roots exposed to light, air and water. When should you water your orchids? Orchids should be watered as they start to dry out. Don't allow them to completely dry out, but just before. This rule generally works for most orchids with variations depending on whether the orchid is able to store its own water. Orchids such as cattleyas and oncidiums should be allowed to dry completely between watering while orchids such as phalaenopsis and paphiopedilums that have no water storage organs should be watered before they dry out. There is no strict rule on how to water that can apply for every grower, and every grower will have their own rules. This is because your local growing environment will not be the same as anyone else's. Key climatic differences such as temperature, humidity, air movement, the potting mix (type and age), and light levels all influence the watering requirements of individual plants. Many people prefer to use natural water rather than tap water to avoid any of the added chemicals or to have water with a different PH. If you use water treatment then this can help increase the range of plants you are able to cater for.